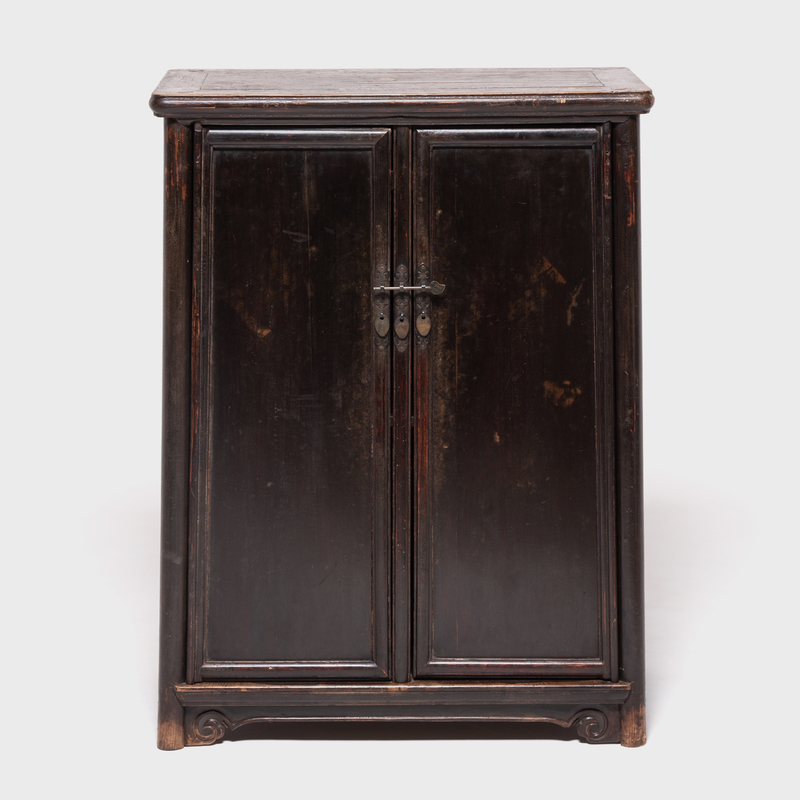 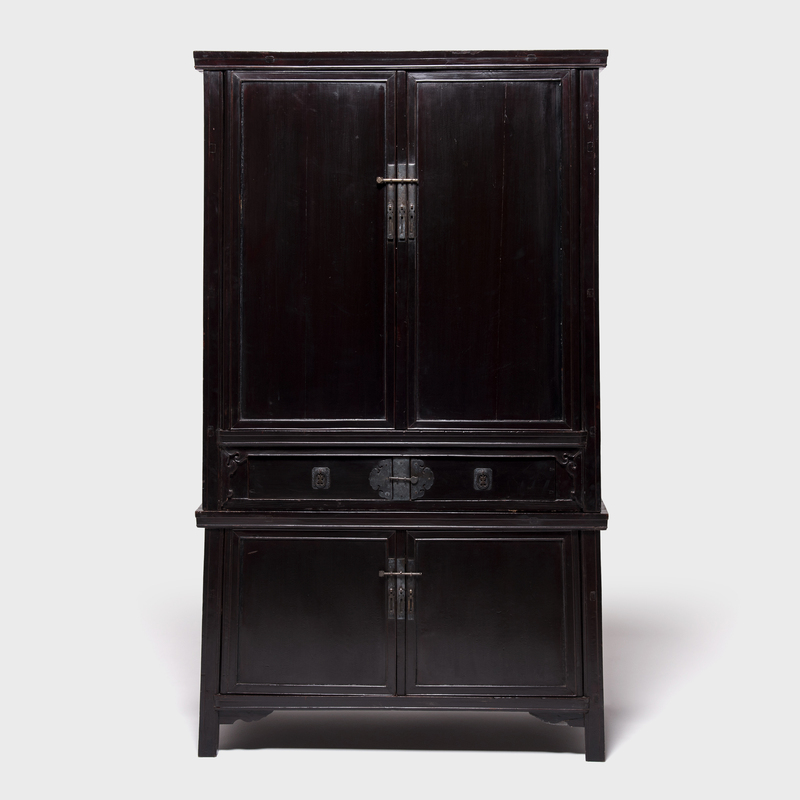 W: 87.5" D: 23.25" H: 36.25"
A skilled artisan of Shanxi province built this storage coffer, respecting the refined lines of Ming-dynasty furniture design by using traditional mortise and tenon joinery techniques. 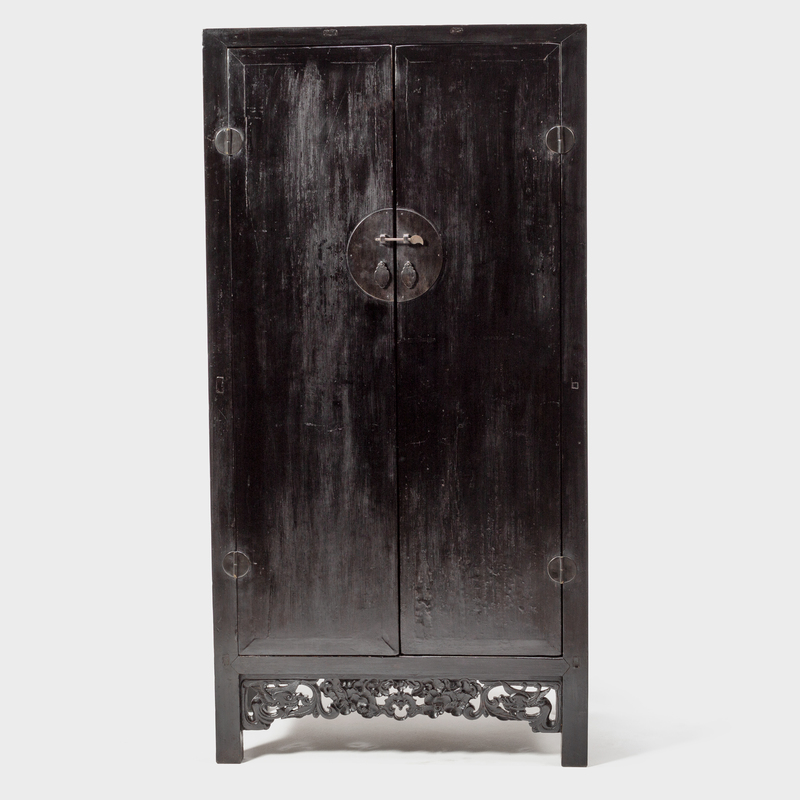 Its beautifully-worn finish shows years of use by the family who very well may have received it as part of a woman's dowry. 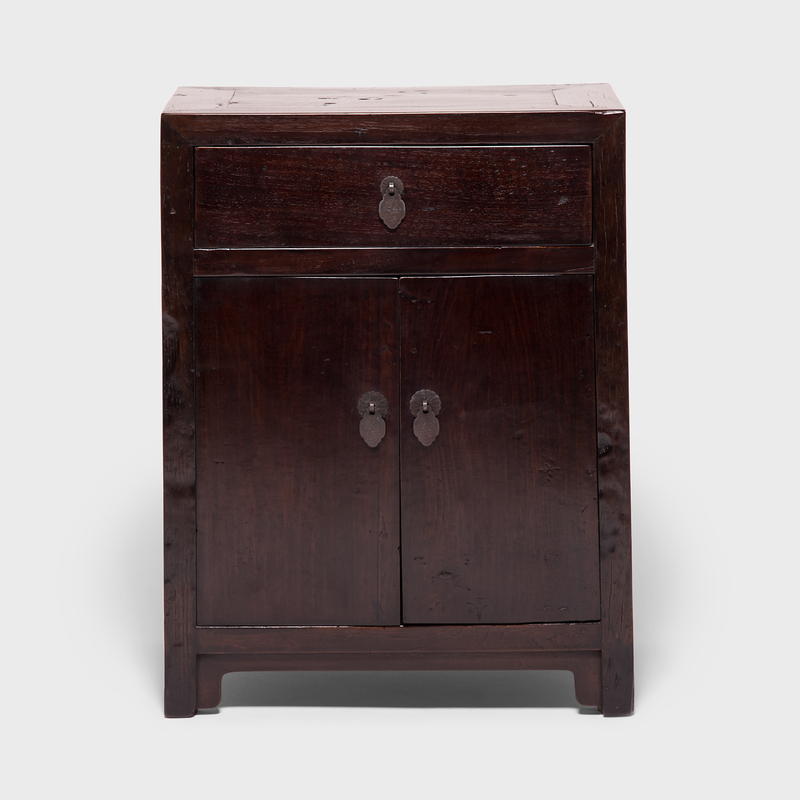 Coffers were often used as family altars - the drawers holding incense and the additional space beneath used for other household goods. 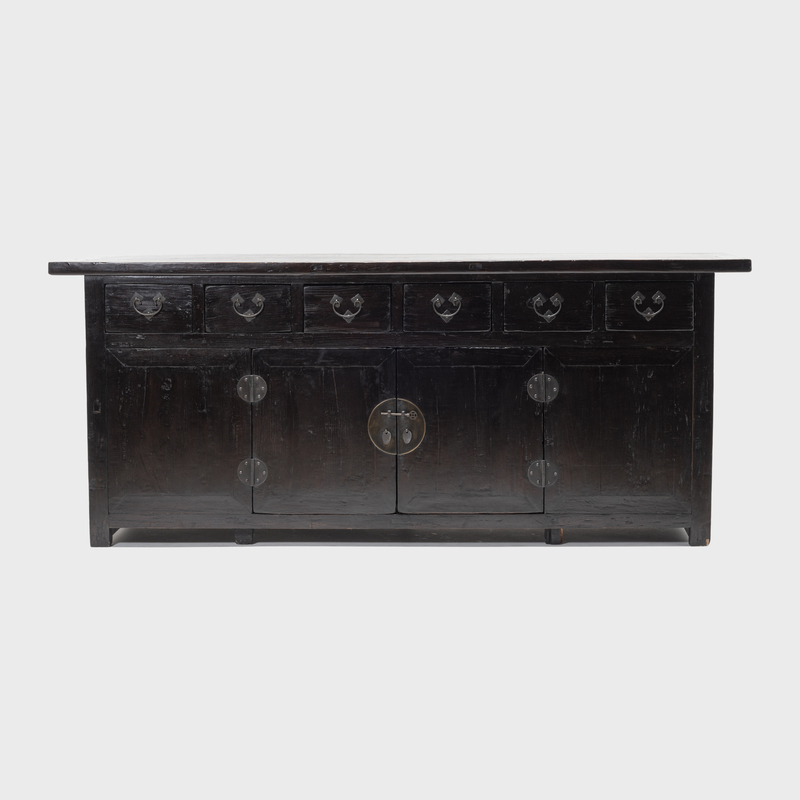 Originally, only the center two panels of this sideboard opened, but the piece has been expertly modified to convert the panels into front-facing doors.